It looks like our nation’s broadband market isn’t quite the duopoly it could be. While about three fourths of the U.S. only has the choice of two providers according to FCC data in the National Broadband Plan, those providers are different on a market by market basis. But a possible deal to consolidate cable providers could disrupt the current balance. Update, Thursday 2/13/14: The $45.2 billion deal is official. Comcast, the nation’s largest cable provider, is reportedly set to announce a deal to buy the No. 2 cable provider Time Warner Cable. Such a deal would end months of speculation about how the cable industry would consolidate and would put the industry on a path to a future focused on broadband. As such, it’s worth looking at how such a deal would play out for consumers, competitors and various technologies. Wi-Fi (and Wi-Fi equipment vendors): When it comes to wireless, the telcos have the licensed spectrum and the hottest mobile devices, but the cable companies have been adding shared and seamless Wi-Fi networks in New York City and along the Northeast corridor. If Comcast and Time Warner team up, I expect the combined company to put big dollars behind more ubiquitous cable-owned hotspots, and perhaps even to eventually launch a Republic Wireless-style mobile network that relies on Wi-Fi first and falls back to the cellular network in a pinch. Gigabit towns: With the prospect of more consolidation in the broadband market, places with competitive providers offering gigabit speeds or even an alternative to the cable/telco duopoly are looking better if Comcast manages to grab a larger market. Google’s plans to build out fiber-to-the-home networks in Kansas City and Austin, Texas, is one example, but even municipally owned networks or places with smaller providers such as Sonic.net may get a boost. The FCC: With a merger, the agency gets the chance to impose conditions on Comcast that might allow it to implement elements of the network neutrality rules that were destroyed in a court ruling last month. Yes,the conditions would only protect the segment of the population that ends up a Comcast customer, and would only be in place for a limited amount of time, but it would let the agency feel like it was taking action. The deal may also provide a test on the whole broadband versus TV question. In looking at market share, will the FCC and Department of Justice view television subscribers or broadband subscribers as the big determinant in overall share? Consumers: While cable providers don’t necessarily compete head-on in almost all parts of the country because of geographical strongholds, this proposed deal would consolidate significant power in the hands of Comcast on both the video and broadband side. For consumers, this means that while Time Warner Cable doesn’t offer a broadband cap, after Comcast takes over, the 11 million TWC broadband subscribers are probably going to get a cap. With such large market share, Comcast which is already the largest broadband provider, will gain even more power when it comes to dictating the terms of over a third of the nation’s broadband and TV experience. Over-the-top video providers like Netflix: Time Warner Cable’s CEO used to cite Netflix as a reason that consumers kept upgrading their broadband packages — ultimately deeming over-the-top content such as Netflix or YouTube as a sales tool for high speed broadband. Comcast has tended to look at Netflix as competition and maybe even as a source of additional revenue when it comes to peering agreements with Netflix and companies that deliver Netflix traffic. Letting Comcast hold even more eyeballs for ransom will give Comcast more power in these negotiations. Content companies : Comcast owns NBCU, so it is a content company in its own right. But as it amasses more market power, it has more opportunity to dictate the terms of retransmission and content negotiation deals in its favor. For larger content providers this may not matter as much, but smaller channels might find themselves taking rate cuts in hopes of reaching Comcast’s subscribers. Given that this deal is all about broadband and controlling what is fast becoming the most important pipe into people’s homes, there are a few final questions and angles to consider. A big one: what would a deal like this mean for broadband upgrades? The cable industry has deployed DOCSIS 3.0 technology and can offer speeds of up to 300 Mbps, but it can’t get to a gigabit in practical fashion. Which, given the excitement around the tech, and deployments by telcos like AT&T, CenturyLink and smaller providers, might mean a combined Comcast and Time Warner could be forced to upgrade its network. In that case having a single, larger company could help drive upgrade costs down on a per-home basis. There are also questions about Comcast’s plans around content ownership beyond NBCU or even its application to sell electricity. It’s a company that is clearly aware that while broadband upends its current business model, it also offers an opportunity for a company that can control and take advantage of that network. This story was updated Thursday morning to note that the deal is official. – TWC customers, who will reap the benefits of Comcast’s superior technology as the TWC plant gets upgraded. – Broadband/video customers in general. No I am not saying monthly bills will decrease, but I expect that Comcast’s increased negotiating leverage will impact the extortion-like annual rate increase demands from providers like Disney/ESPN, NFL, MLB, etc and SMALLER annual rate increases are likely. – Comcast and TWC stockholders, for obvious reasons. – ATT and Verizon customers. More Competition! – ATT and Verizon stockholders. Comcast will be better positioned to compete against the FIOS and U-VERSE product offerings. This is actually good for competition. TWC has been a failing company for some time and upgrades to their infrastructure have all but halted it seems. It’s like they were foreseeing this and WANTED Comcast to buy them. 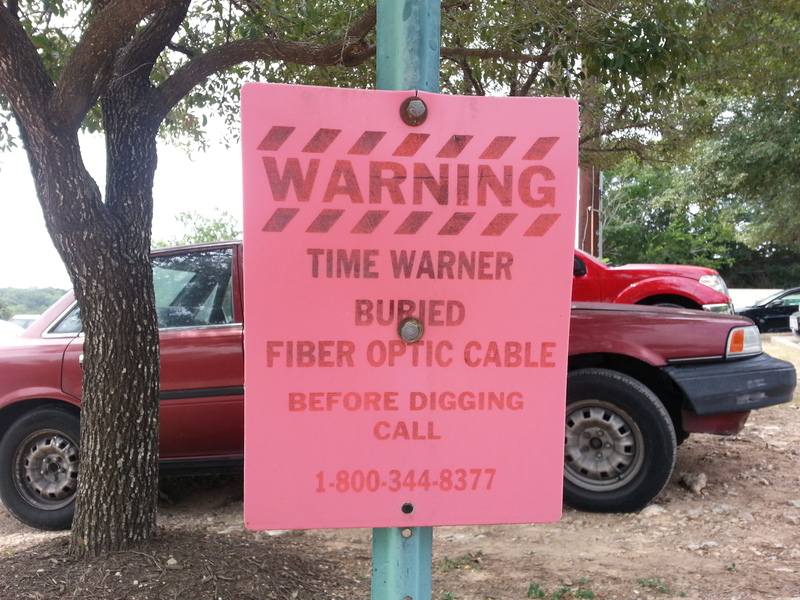 We all know fiber will be the future, but why not have a little “competition” and see how long we can milk the copper-based frequency-specific cable industry. If there is plans for a 10g/1g DOCSIS 3.1 standard, cable isn’t on its way out any time soon this decade or maybe even next decade? The DOCSIS standard with its channel bonding, has redundancy on the last mile to consumers (meaning more stability). If one channel becomes saturated, it can take more from other channels. With fiber, its currently expensive to incorporate multiple optical transmissions over a single run. FCC should put a mandate of 60-70% of its existing customers approval for such mergers. Because its finally the consumer who is paying the bills and getting sucked up. Don’t forget the thousands of Time Warner and Comcast employees fired because although they can find 40 billion for the merger they can’t find 1 billion to keep loyal employees. Thanks CEO’s.